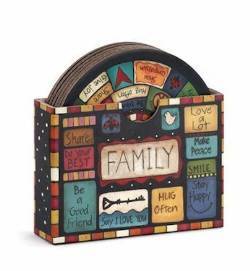 Family Values Coasters -- $12.50 -- Table Talk by Demdaco Family Values Coasters 4 inch diameter coasters - Set of . 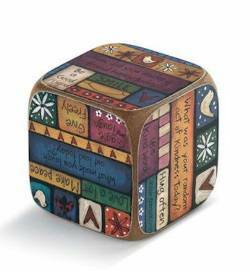 . .
Family Values Conversation Dice -- $9.50 -- Table Talk by Demdaco Family Values Conversation Dice Wooden block - 3" square 1004040043 Poly . 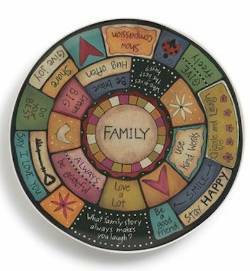 . .
Family Values Round Platter -- $24.50 -- Table Talk by Demdaco Family Values Round Platter Melamine - 13 inches in diameter 1004040042 Poly . 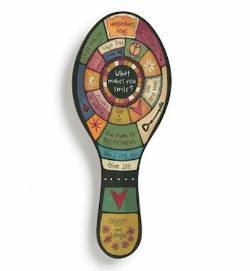 . .
Family Values Spoon Rest -- $10.50 -- Table Talk by Demdaco Family Values Spoon Rest Melamine - Top rack dishwasher safe 9.5 inches x 4.5 inches . . . 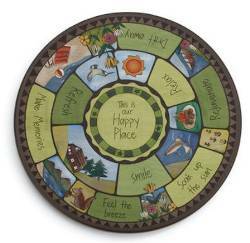 Happy Place Lazy Susan -- $64.50 -- Table Talk by Demdaco Happy Place Lazy Susan Wood - 18" diameter 1004040008 Boxed This is our happy place...Smile...Relax... Feel the . 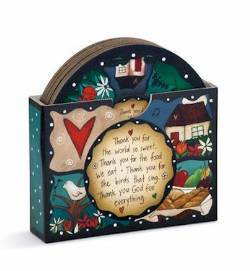 . .
Sweet Table Prayer Coasters -- $12.50 -- Table Talk by Demdaco Sweet Table Prayer Coasters 4 inch diameter coasters - Set of 6 in Holder 1004040030 Gift Boxed What . 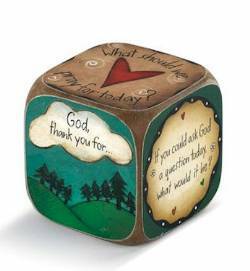 . .
Sweet Table Prayer Conversation Dice -- $9.50 -- Table Talk by Demdaco Sweet Table Prayer Conversation Dice Wooden block - 3" square 1004040044 Poly Bagged What should . 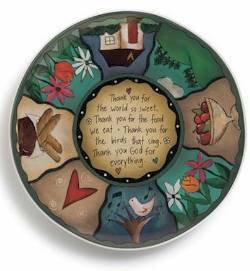 . .
Sweet Table Prayer Lazy Susan -- $64.50 -- Table Talk by Demdaco Sweet Table Prayer Lazy Susan Wood - 18" diameter 1004040006 Boxed Thank you for the world so sweet, Thank you . 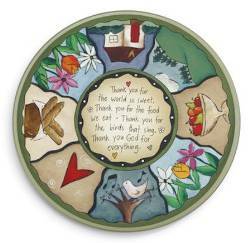 . .
Sweet Table Prayer Round Platter -- $24.50 -- Table Talk by Demdaco Sweet Table Prayer Round Platter Melamine - 13 inches in diameter 1004040041 Poly Bagged Thank . 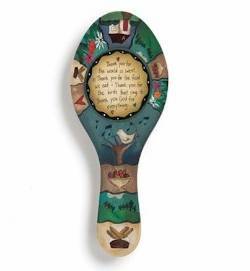 . .
Sweet Table Prayer Spoon Rest -- $10.50 -- Table Talk by Demdaco Sweet Table Prayer Spoon Rest Melamine - Top rack dishwasher safe 9.5 inches x 4.5 inches - 1004040034 Poly . . .